Franck de Villeneuve presents : aLIVE ! This new live-act shows the 3 instruments to the public and shares a deep underground music made live ! Franck de Villeneuve as a DJ plays a powerful music at cool tempo, an actual clever mix with underground resonances, lively and sensible, that he can’t stop working during his sets, whatever they are performed with, vinyls, cds, or laptop & tactile controlled as in his last concept ! 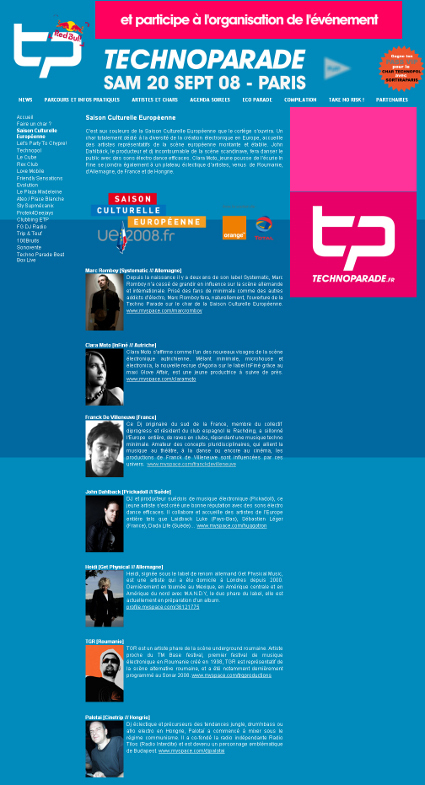 He's a real known activist, creator of the first Syndicat dedicated to electronic music artists and writer for blogs. He has been the artistic director and resident DJ of famous underground places like the Rachdingue club opened by Salvador Dali in Spain. He has produced many tracks on labels like Timid records, Bus records, (...) and many remixes for artists like Alton Miller. Franck is always passionated like a child, his life is music, electronic music. ... and many many more since 1991 !